Deluxe Banner Stands are a stylish retractable stands with a sturdy heavy base with chrome accents that make it stand out. 10 mil indoor vinyl banner that is collapsible. 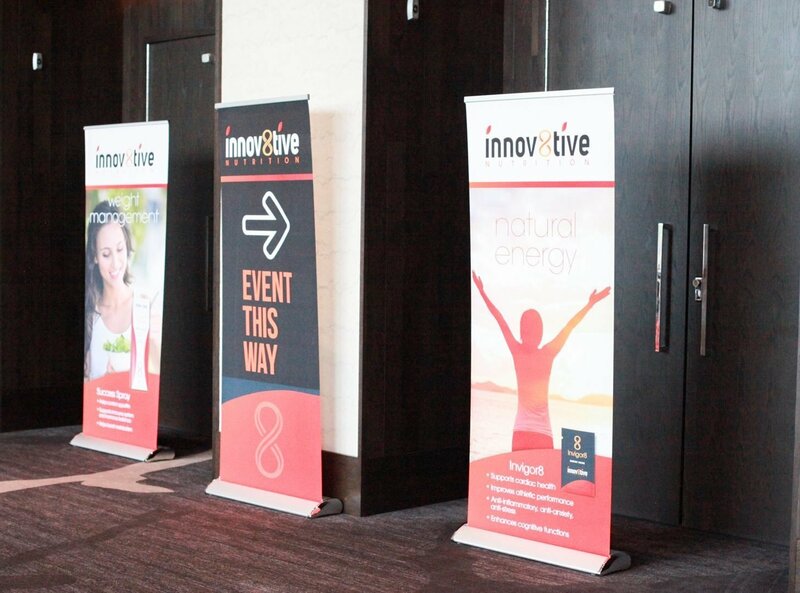 The banner stand is portable, and easy to popup and setup. It comes with a convenient carrying case. The banner itself measures 33" wide by 80" high. These are the same popup banners that we use at conventions, events and in the Success Center. NOTE: Banner stands cannot be shipped to PO boxes. Please provide a street address only.